These PRS Pickups are the real deal. They bring that vintage humbucker flair that you are searching for. The PRS Paul Reed Smith 57/08 Electric Guitar Pickup are inspired by 1957 humbuckers and introduced in 2008 (hence the name). 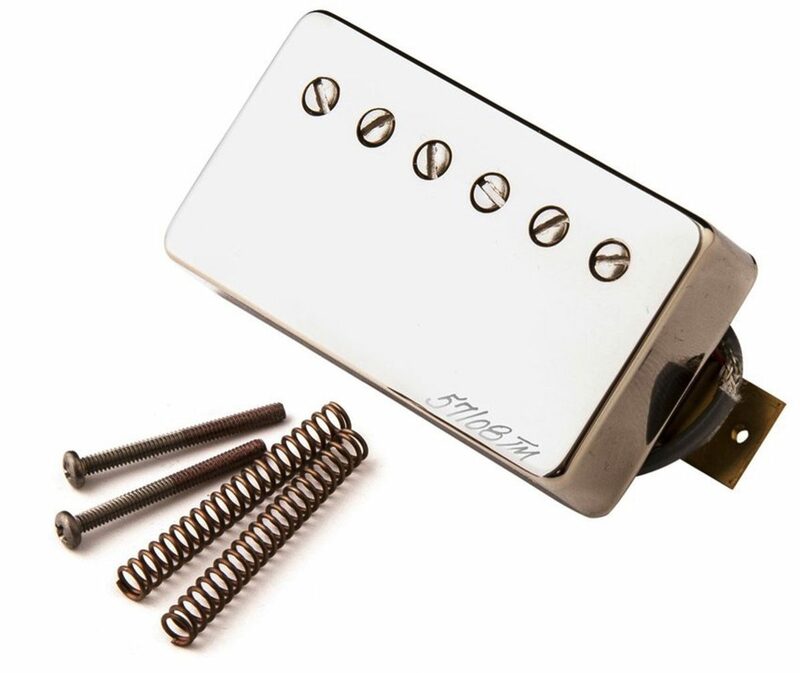 These proprietary pickups were designed by Paul Reed Smith and are made with vintage-style wire and wound in-house in PRSs Electronics department. They were designed to capture the iconic tones of 1950s era guitars and have become modern classics in their own right with their warm, even, responsive tone. If you are looking to refine the voice of your guitar, check out these pickups today. When PRS first came out with 57/08s, they had just gotten exclusive rights to the wire made by the same machine that made all the wire in 1950s pickups. Learning from that exclusive wire, they were able to make really great recreations of those early pickups with what we felt were some improvements in consistency, clarity, and tone, says Paul Reed Smith. 57/08s were embraced by their artists and their customers right away, and their have always been so appreciative of that. Until now, you have only been able to get 57/08s in a guitar.